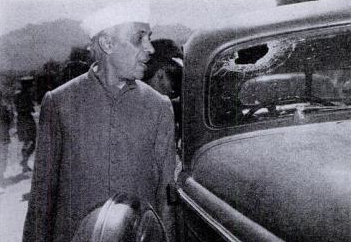 The main purpose of Nehru's visit to NWFP was to boost the morale of the Congress and push their cause on the Frontier. This was against the advice of the governor , Sir Olaf Caroe, and the Viceroy. 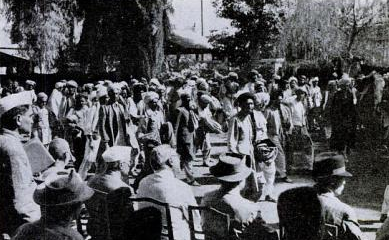 When Nehru arrived at Peshawar Airport, he was greeted by a large and hostile league demonstration. It was an ugly situation and he had to be taken out through a back door. Nehru then visited Tribal areas. 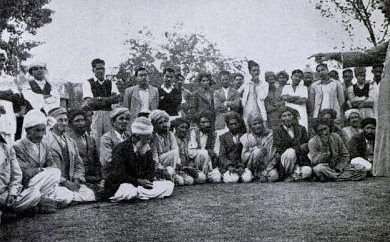 The first town in tribal territory on Nehru's itinerary was Mirmashah, where he was to address a Jirga. 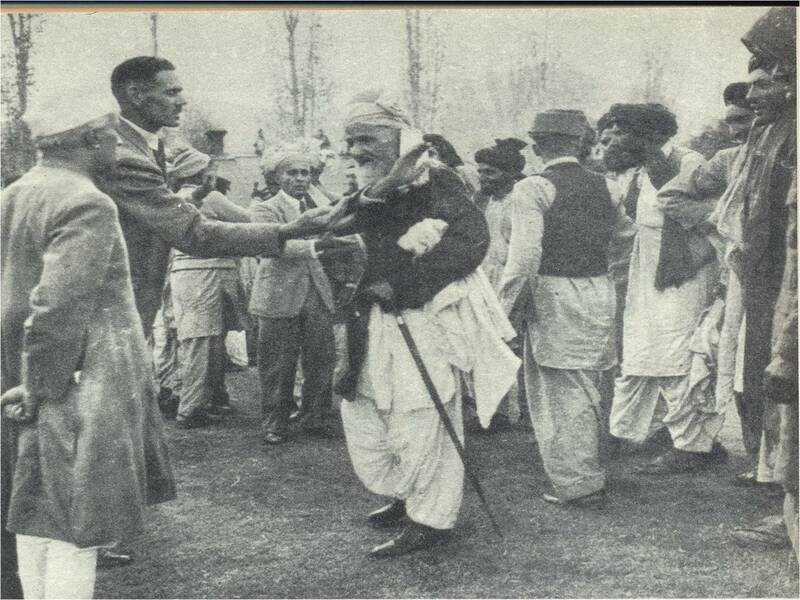 But according to reports reaching the British, the Utmanzai Wazirs were not impressed with his pledge to 'set them free', calling out, 'why dont you speak pashto? Go back to Hindustan'. His reception at Razmak was no better. The tribesmen fired on the plane before it even arrived. Robin Hodson, who was the political agent of south Waziristan, witnessed Nehru's address to the Jirga there. 'Instead of remaining seated, to my astonishment Nehru got up and started addressing the tribesmen as though he were at political rally, waving his arms around and marching up and down. At Jirga it is custom to sit on the ground and the person addressing the meeting would be seated on chair. But Nehru's manner didnt please them. 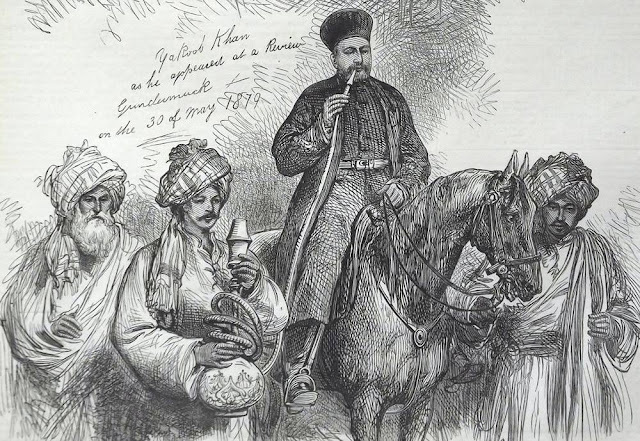 Again he said that he would set them free from slavery of the British, but the reply -- in Urdu for Nehru to understand-- came: 'we are not the slaves of British and we are certainly not going to be your slaves'. Using the contemptuous word for an Indian, kortunai, they said that if they had to deal with any Indian , it would be Jinnah. This made Nehru frantic with rage. He said he was more powerful than the British and had kicked them out, swinging his foot. The Mahsuds greeted this with laughter and the meeting broke up in disorder. When Nehru was advanced upon by a Mahsud with an umbrella, it was Robin Hodson who stood in to protect him. Hodson was therefore somewhat surprised to listen to All radio India saying that political officers there had arranged a demonstration against Nehru. Malak Mehr Dil Mahsood giving Jawahar Lal Nehru a Piece of his Mind while Political Agent Robin Hodson tries to stop the approaching Malak.